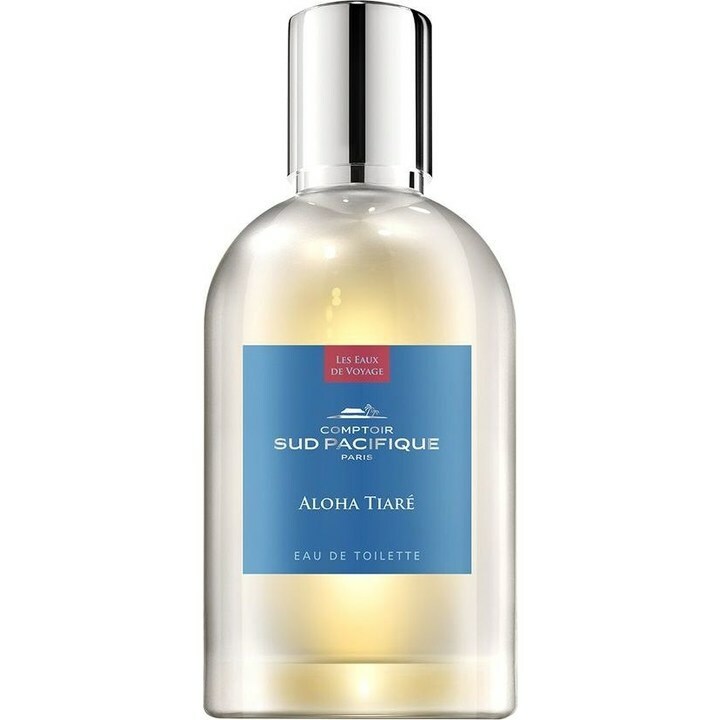 Aloha Tiaré (Eau de Toilette) is a perfume by Comptoir Sud Pacifique for women and was released in 1984. The scent is floral-sweet. It is still in production. I bought a second hand 100ml bottle of this for not very much! I can understand why someone would pass it on to a new home with only a little used out of it. It is super sweet and super strong, definitely a one spray baby. I wanted it for my holiday as I was looking for a suntan oil type fragrance for the evenings because I don't wear fragrance during the day on a beach. This does fit the bill, although I can also imagine using this in the deep, dark winter months as a pick-me up, when you feel the summer is never going to materialize. I'm getting a fizzy sweet vibe in the opening notes but apart from that it follows the fragrance pyramid listed above. I think mine is an older bottle as it has no ingredients list, just water, parfum, alcohol, so I don't know if it differs from the current version available. I can also imagine passing this on to a new owner to enjoy eventually as I am probably never going to make dent in it, seriously, it is a scent bomb! Like many other Comptoirs, this one is as much overwhelmingly sweet that I could not manage to wait until it completely opened on my skin but I ran to wash it off as sooner, as better. To my nose, it smells very synthetic with benzoin as the only recognizable note I could pick. It reminded me a lot of the smell of one of those children’s cough syrups. Big disappointment, I expected more from this dreamy pyramid notes. 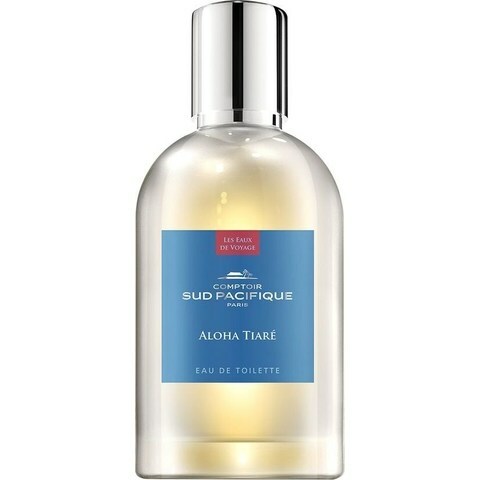 Write the first Review for Aloha Tiaré (Eau de Toilette)!